About the talk: Jay Gitlin, Associate Director of the Howard R. Lamar Center for the Study of Frontiers and Borders at Yale University, joined Tony McCulloch, Senior Fellow in North American Studies at the UCL Institute of the Americas, in a discussion of the complex tensions and fluid relationships between French traders and US settlers, and of the surprisingly cosmopolitan world of 'border zones'. 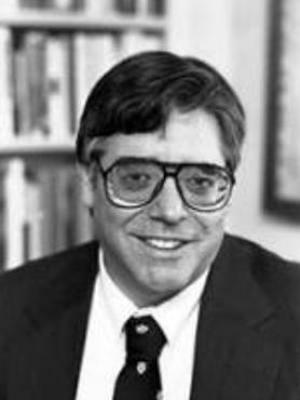 About the speaker: Jay Gitlin is Associate Director of the Howard R. Lamar Center for the Study of Frontiers and Borders at Yale University. He has taught history at Yale for over twenty-five years, including courses on the American West, Québec and Canada, suburbanization, and—with Sandy Isenstadt—the history of shopping. His book, "The Bourgeois Frontier: French Towns, French Traders, and American Expansion" received the 2010 Alf Andrew Heggoy Prize for the best book in French colonial history. He is also the co-editor and co-author of "Under an Open Sky: Rethinking America’s Western Past" (1992) and "Frontier Cities: Encounters at the Crossroads of Empire" (2012). He has been an on-camera commentator and consultant for several television shows on the History Channel and Connecticut Public Television, including Suburbia: The Good Life in Connecticut, nominated for a regional Emmy.